Evolution by selection, intelligent design and creation are delicate subjects. A new approach on evolution is welcome !! There are countries where you have to deal very careful about these issues.These issues delivers sharp discussions with different religious groups.Evolution by the Spirit is based on a universal spiritual starting point of view. The trinity matter – spirit – anti matter, in which the Spirit manifest as a cocoon of all the matter and so delivers structure, memory and developing skills for the future and further evolution.These ideas are totally different ideas than the ideas of Darwin (natural selection /survival of the fittest) + intelligent design + creation by Great creator (God). Interested? 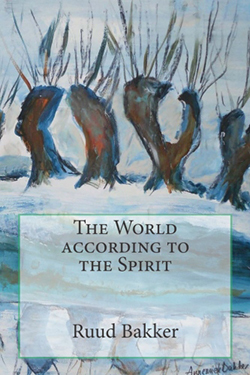 See Chapter 23: Spirit and heredity and Chapter 24: Spirit and evolution in the book The world according to the Spirit. Note : Intelligent design is the pseudo scientific view that certain features of the universe and of living things are best explained by an intelligent cause, not an undirected process such as natural selection. Educators, philosophers, and the scientific community have demonstrated that ID is a religious argument, a form of creationism which lacks empirical support and offers no tenable hypotheses.Proponents argue that it is an evidence-based scientific theory about life’s origins that challenges the methodological naturalism inherent in modern science, while conceding that they have yet to produce a fully worked-out scientific theory. The leading proponents of ID are associated with the Discovery Institute, a politically conservative think tank based in the United States. Although they state that ID is not creationism and deliberately avoid assigning a personality to the designer, many of these proponents express belief that the designer is the Christian deity. Apart from hereditary gene structures and DNA spirals, the spirit, as a carrier of information, is a mechanism controlling organic life. Little by little DNA secrets and chromosome structures are unravelled and described. The creation of life through generic and sexless reproduction is a fascinating event. In a strictly ordered fashion the conjugation of tiny differentiated cells creates a beautiful, new and complete life. Each group of cells grows into a specialist cell structure of tissue or organs, according to a structured plan of development. 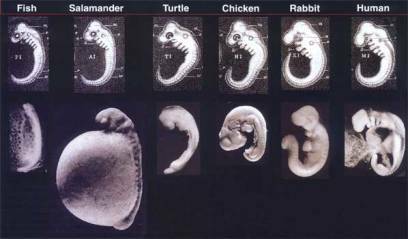 In its first stages, the human embryo is very similar to other forms of animal life. Their mutual origins are clearly present. Cells differentiate and specialise rapidly. This process of biochemical interaction between hereditary material and cell division is controlled by a great cooperative complex. Commands are given and executed with a high degree of precision. This process can well be called a logistic miracle. A brilliant time schedule in addition to a high level of predictability of the end result. Memory plays a crucial part too. Chromosomes carry hereditary information. As the saying goes: history repeats itself. History is stored and passed on. It is hard to imagine that a few specific combinations of amino acids and bases can instigate and control such a complex history of reproduction. The elementary DNA material forms the biochemical key to the production of related proteins that react to become chains of amino acids and other organic matter. The dimensionless spirit wanders around this matter, governing the process of life with its imaginary sequence of numbers full of memory. Like an all-encompassing cocoon it communicates with matter. Processes of reproduction are not unique, they happen all the time in different places at different times as well as simultaneously. The uniformity of the process is biochemically controlled by genetic material and by number sequences that recorded the values of energies and reactions in memory keys. The memory key with number sequences acts like a catalyst for the development of the process. The correct value for the correct dosage prompt a reaction. These correct values are obtained through a continuous and intelligent learning process by the spirit. What is the most balanced step in the process that renders the best continuation? The selection and permanent adjustment of memory values ensure an organism can develop. Memory is not formed by fixed number sequences with keys starting and controlling processes. Because of its internal contrast between matter and antimatter, the spirit is motivated to improve nature’s ordering processes in a forward direction. Any mutation that appears to be an improvement is advantageous to the organism involved. It is passed on through procreation and cell division. When success and progress are repeated, these new genetic codes and their values from the imaginary number sequences are etched in the memory and thus recorded in the genetic codes and morphological fields of the imaginary number sequences. The more successfully these codes are repeated, the more prominent and dominant the new genetic code and its corresponding morphological field will be. Consequently, the genetic and spiritual morphological components enhance and complement each other in evolutionary terms. The learning process of consciousness also follows the etching of information and number values. Repeating actions lies at the core of all elementary learning processes. This applies both to motoric and sensory models of action and reaction. Insight and analysis take place at a higher spiritual level. However, both learn from mistakes. Language learning takes up a special place within this learning process. Apart from having conversations about various subjects to increase one’s verbal command of a language, learning how to read is essential to structure communication. In addition to a grasp of grammar, sentence construction and parsing, being skilful in reading is a prerequisite for writing clear and well-structured texts. Bit by bit words are learnt and reproduced by babies. Sentences become increasingly more complex. At school language proficiency is stimulated with further vocabulary, speaking and writing skills. Words are meaning-carrying symbols, that serve to communicate and exchange information with one’s environment. The phenomenon of heredity carries the history of organic life. The heredity principle and genetic material are identical for the greater part of organic life. Differences in genetic material account for a mere few percentages. Yet, from this mutual base sprang a very diverse palette of life forms. The life processes of cells and organisms also show many correspondences. Life processes are driven by genetic messages and biochemical interactions as well as by cell structures which turn processes on and off, slow them down or accelerate them. A cell structure is complex, because it is minute, but still represents many functions and actions. It supplies energy, composes and decomposes matter, reproduces external information and responds to it. These compact and specialised complexes share a mutual and universal cell structure, but yet perform strictly different functions. They are differently controlled genetically and have different active locations in their gene sequence. Somehow the non-active locations in the gene sequence are kept inactive. Either they are restricted by the compactness of the cell mass or an imaginary number sequence blocks their activity by means of a key that perfectly fits their genetic code. Continuous repetitions of this process record the number key that guarantees a reliable and dependable process with the proper logistics and dosage. The evolution of one-celled organisms into the complex creatures we see today is a wonderfully complex process, considering the factors that were vitally important to get them developed. Not only on a micro level, but on a macro level as well. Atmospheric conditions, regulated temperatures and feedback mechanisms all provide a stable environment for an organism to grow in. The concentrations of oxygen, hydrogen and carbon need to be exactly right. When concentrations vary, the mechanisms try to find an equilibrium to restore the optimum values. These macro factors are vitally important for stable organic structures and life forms to develop. They cannot be considered as chance factors, considering their complex urge to establish an equilibrium. They are internally motivated by the trinity of matter – spirit – antimatter that implies progress after a battle for improvement. This fundamental trinity forms the basis for the creation of the universe and all organic life. This symmetry mirrors the spirit checking the deathly urge of matter and antimatter to destroy each other. Like a cocoon it encompasses all matter. By doing so it bridges the differences between matter and antimatter in order for stable structures of matter to develop. The tensions between matter and antimatter are neutralised by the spirit to a large extent. The remainder potential supplies the energy to grow, causing progress and the phenomena of time and history. The spirit stores its history in memory number sequences by means of elementary laws of physics and the natural rules and constants resulting from it. Internally motivated, the mass of matter becomes ever more differentiated and specialised. Without any differences in potential, the urge for organisation and structuring would be lacking and, consequently, the evolution would run a completely arbitrary course or would even come to a halt. The parameters for the development of organic and intelligent forms of life were recorded at an early stage. Cosmic constants and laws are there in order to instigate organic life eventually. Where does this deep wisdom, that brings about organic and intelligent forms of life through evolution, come from? It is the strong urge of matter to neutralise the potential between matter – spirit – antimatter so that perfect harmony and mirror symmetry can be achieved. The only way in which this can be obtained is through spiritual enrichment instead of material enrichment. The classic contrast between matter – spirit – antimatter can only be overcome by spiritual and intellectual progress. This provides the wisdom that striving for material satisfaction of one’s own interests at the cost of other fellow human beings is wrong and causes destruction, violence, poverty and oppression. The history of humanity clearly slows that this notion has not broken through yet. In recent history, humanity has used intellectual progress to obtain material gains and to realise self-interests politically through the exclusion of large groups of people, animals and plants. Like a predator, humanity today is stripping away the treasures of nature and hurting its fellow living creatures. Fellow human beings, animals and plants deserve space to live on earth. The economic model of capitalism provided material growth at the cost of other living creatures by focussing fundamentally on economic self-interest. Capitalist market control institutionalises the hunger for money, pleasure and power and in many ways it has been a successful control mechanism socially. It has clearly increased material growth and wealth for large groups of people. However, the more successful it is, the more harmful to man’s natural environment it becomes. Darwin was a pioneer in trying to understand the direction of development and growth of complexity. The part played by hereditary mutations and advantages of selection offered humanity a great deal of insight. Today’s knowledge of gene structures clarifies that the number of genes per species does not constitute evolutionary success. Nor does control of gene pairs. The differences between gene pairs of higher and lower forms of life are surprisingly small. The true factors contributing to evolutionary success lie in the possibilities of expression and copying. The essential difference in successful regulation and instigation of evolution is made by the spirit factor acting as a cocoon of memory. It houses the past, present (real) and future (virtual). A species or a specific organ in its embryonic stages is developed through virtual archetypes that are repetitively produced. Like a building plan the organic growth of an embryo can be laid over virtual archetypes. The spirit’s drive for progress stimulates an ever-increasing perfection of life processes. History repeats itself ever- increasingly into the archetype. The future has now also been enclosed into the spirit. As a cocoon of memory for matter and life processes, the spirit is internally programmed to achieve progress. Consequently, the future and the desired development results are also ingrained in the spirit. 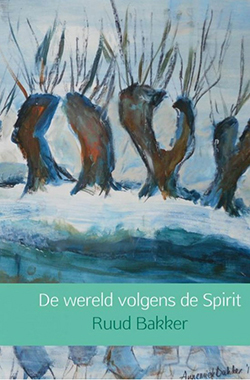 The spirit compares the desired future evolutionary progress with genes. Both desired and undesired mutations in genes and DNA strands are expressed by degeneration and innovation that suit a species’ future archetypes. The chance of positive mutations and repetitions of successful behaviour is increased by the spirit’s capacity for memory and learning. It is expressed by virtual and gene codes. When mutations of successful reproductions or successful behaviour are repeated, they are ingrained and established in the spirit’s memory. The spirit factor houses the past, present (real) and future (virtual) so it can control life processes and development progress like a leitmotif. A familiar critique on the classic theory of evolution, i.e. that primary organic matter develops into complicated organs and forms of life, is that mutations and selections are too rough an instrument to be able to render refined co-operations, specialisation and forms of consciousness. The transition of one-celled bacteria to thinking mammals is too unlikely when mutations and natural selection are the only sources of creation. The spirit factor, however, offers the drive and instruments that can create complex, organic and conscious forms of life. The number of gene pairs is different with simple and complicated forms of life, but not to such an extent as their degree of complexity would one lead to expect. It is not the number of gene pairs, but the way in which gene pairs are controlled that constitutes the difference between man and ape. In genetic terms the difference is only 1%, while the development of the embryo in most species is similar – it is mainly the end result that is fixed. This universal process of embryonic development has been ingrained in the development of archetypes through history and repetition. An unlikely small genetic variation will cause a highly specific, species-bound embryonic development. The spirit factor drives the small genetic differences that will yield a specific species. From its first cell, the embryonic cell division process moves toward the fixed end result of a total archetype or hologram. This virtual image functions as a point of departure to drive the embryonic cell division process as to task ability and place orientation. Life forms that are driven by the spirit carry a refinement in complexity and a reward for successful behaviour. Mutations can either speed up or confuse this process. The virtual total archetype always tends to look for improvement and progress in the future. Mutations and successful learning behaviour can accelerate the process by leaps. There is an inherent drive to develop complexity and order. The spirit factor embodies the ingrained past, the present and the future as important shaping elements.